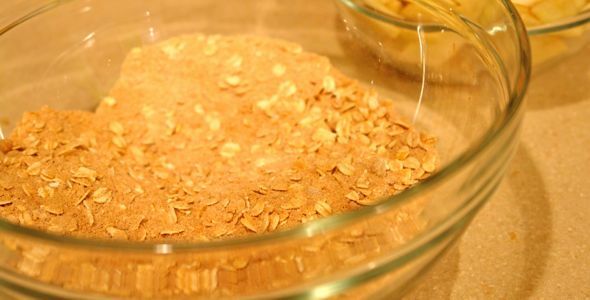 Arrange apples in a pan roughly sized 8″ x 8″ x 2″. Using a fork or your fingers (arguably the most effective means to combine the butter), mix all remaining ingredients besides 2 tablespoons butter. Sprinkle mixture over apples. 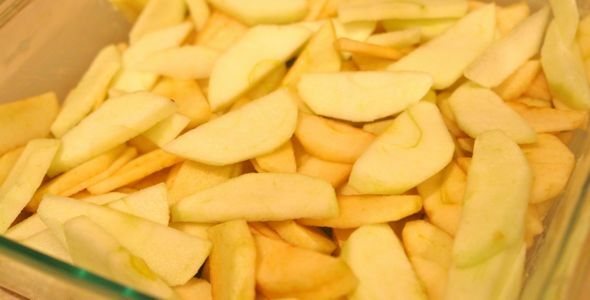 Cover apple mixture with thin slices of reserved butter. 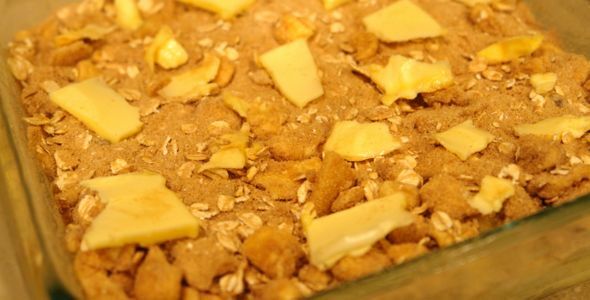 Bake until topping is golden brown and apples are tender, about 25-30 minutes. Serve warm. Eat as is or add fresh whipped cream or vanilla ice cream. Make this dessert for your family or dinner guests and they won’t be able to resist the aroma of cinnamon, nutmeg and butter. Your house will smell so warm and inviting. 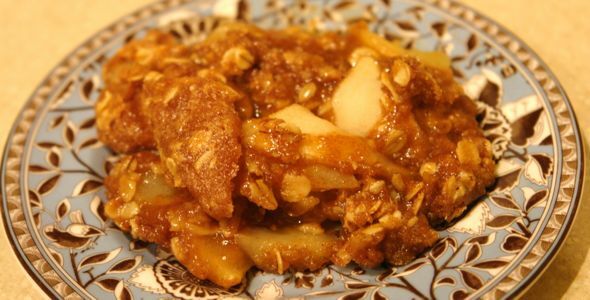 The gooey, caramelized topping and softened apples are a delightful treat on a cool night. Dig your fork in and savor the flavors of fall. Any leftovers can be sealed and kept in the refrigerator for up to a few days. I use a great glass baking dish that has a cover I can pop on to store in the refrigerator and then stick back in the oven to reheat the next day. Yum, this looks great! I absolutely LOVE apple crisp!! 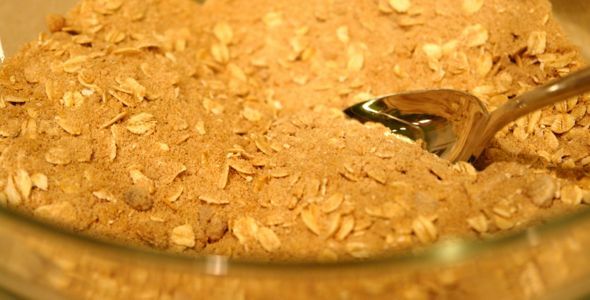 I am hoping to rework my own recipe this weekend to make a healthier version. I have soo many apples from apple picking last weekend at Blackman Homestead Farm! I seriously think I may make a fruit crisp of some sort every few weeks! 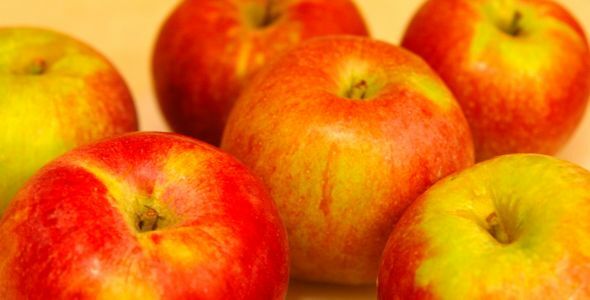 They are just lovely, especially apple ones with fresh apples! 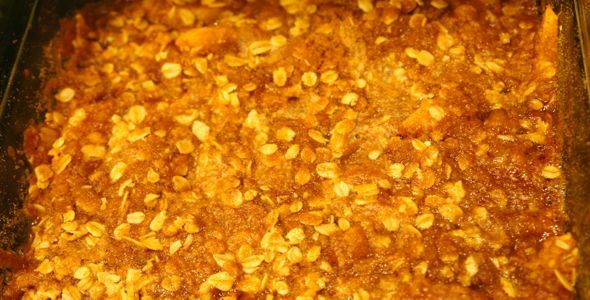 Apple crisps and crumbles are so comforting, warming, and delicious, absolutely steadfast favourites! And the contrast between the tart and cooked-to-tender apple and the sweet, crunchy crust…perfect. Also can I say how awesome it is to meet another blogger who’s from Buffalo? So cool! I absolutely agree. I am in the mood for an apple crisp or crumble just thinking about it! Nice to meet you too!